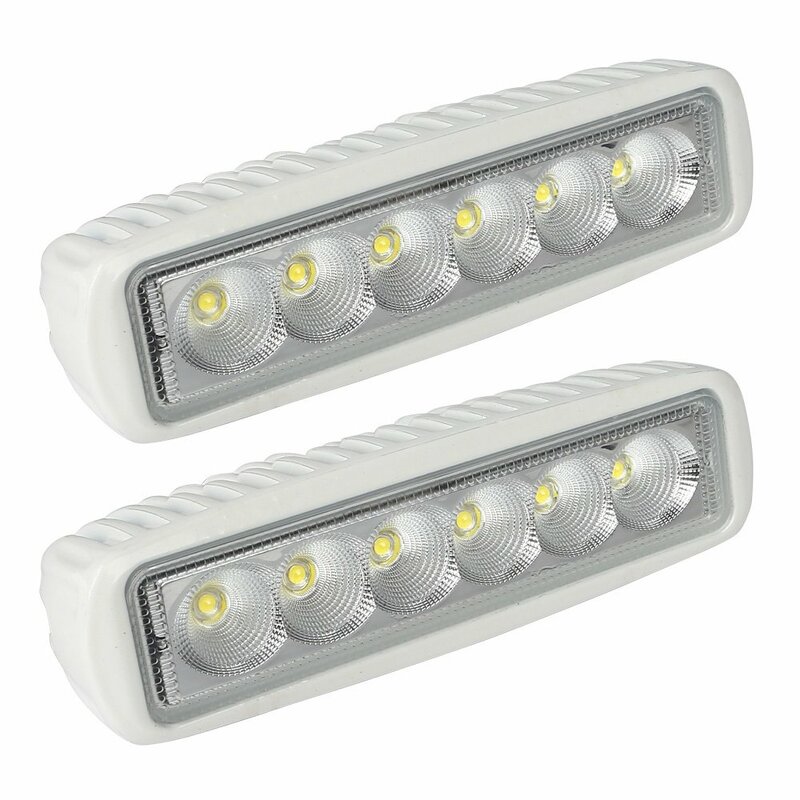 Marine grade LED light bars are perfect for any boating illumination need. They produce the most light with the least amount of power and possess outstanding reliability. They are lightweight and virtually impervious to moisture and corrosion. A typical marine light bar operates with voltages from nine to 30 VDC, which makes them directly compatible with boat electrical systems of 12 or 24 VDC. 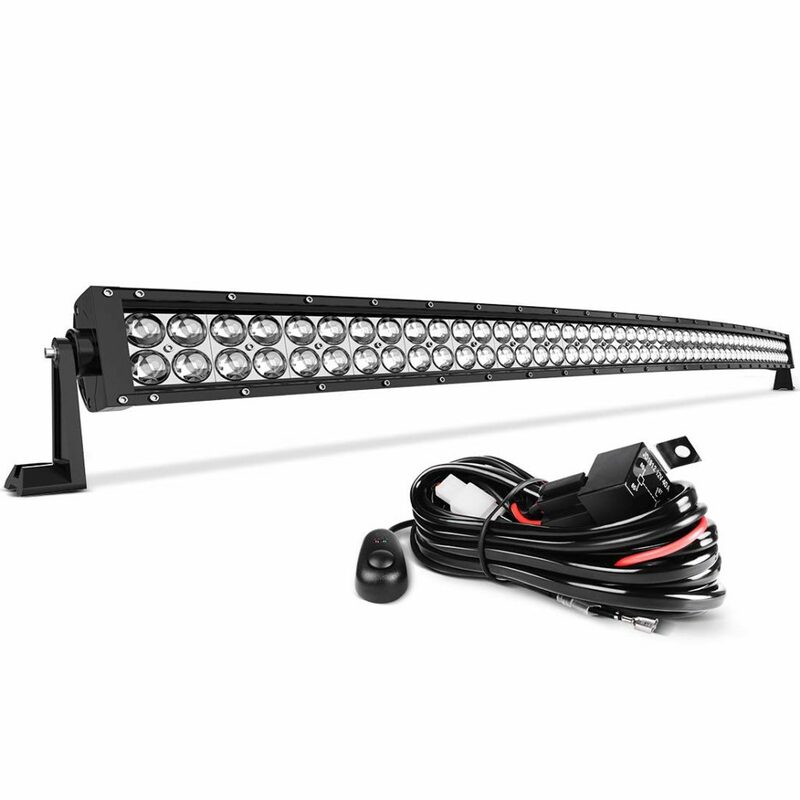 LED light bars are built to withstand off-road use and extreme environmental conditions. The best marine LED light bar has additional corrosion resistance built-in to counteract salt water exposure. Marine LED lighting illuminates the course ahead, banks, buoys and docks. It is also used for navigation signals and lighting up decks or compartments. They are available in any size, shape or color, which makes finding the best marine LED light bar for your application a breeze. LED light bars serve as spot beams, floodlights or a combination beam. 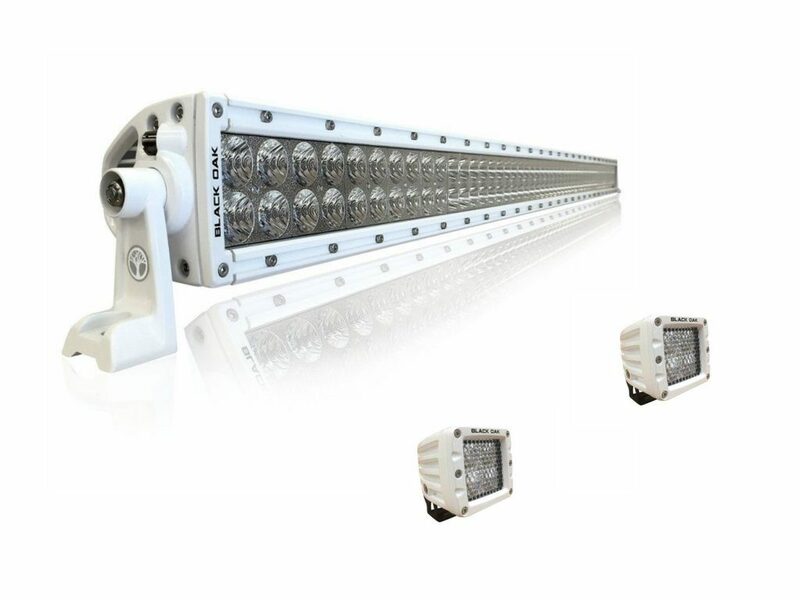 The highest quality light bars used computer-designed optics that optimize beam width and. Spots can penetrate the gloom for over a kilometer while floods or combos add side-to-side lighting. Spots on pivot mounts are ideal for search or fishing activities. For the ultimate navigation illumination, wide, rectangular light bars up to 50 inches long provide the most night-splitting brightness. They are commonly mounted on the stern or the top of the cabin. Small, round LED light pods or fixed strip lights mount just about anywhere. They are optimal for illuminating compartments, bunks, cabins or for use as courtesy lights. They are available in low-profile or flush-mount designs that are small and unobtrusive. Weatherproof billet lights are excellent as docking guides. Waterproof, flexible LED strip lighting applications are limited only by your imagination. They can be mounted anywhere to any length. Colors run from white to blue, red, green and yellow. Special RGB light strips can be dimmed and are capable of flashing as well. Start your search for the best marine LED light bar by picking out the best brands such as Rigid, Baja Designs, Vision X, KC HiLites, Cosmoblaze, Lazer Star and so on. Each of these top manufacturers carries products built for marine conditions. A marine grade LED light bar has extra protection against exposure to marine conditions. The housings receive specialty coatings such as chromate, which resists salt corrosion. On top of that will be a high-quality UV-resistant finish. All screws and mounting hardware are marine-grade stainless steel. Choose a marine light bar with a minimum ingress rating of IP68 to ensure it is impervious to moisture. Black Oak LED is known worldwide as a premier manufacturer of top-quality, high-value, powerful and reliable LED light bars. Black Oak LED’s ideal boat lighting kit, consisting of a rugged 40-inch, dual-row light bar plus two high-power 40W Pods, provide you with both dark-shattering brightness and lighting flexibility for your watercraft. The light bar features 400W/44,000lm of lighting power from 80 5W 50,000-hour Osram LEDs and an IP69K waterproof rating qualifying it for marine use. Place the two 40W/3,120lm pods, equipped with four 10W Cree XM-L2 LEDs, as handheld or rotatable spots to light up the deck, bank, dock or a campsite. Universally, customers state their satisfaction with Black Oak LED’s products as soon as they take them out of the carton. As one buyer put it: “Anyone who sees the power and feels the quality of my light, wants one immediately.” Next, they are blown away by the unbelievable brightness. It is too bad the clamp of Black Oak’s GoPod light is not an option. We are duly impressed with Black Oak LED’s quality standards along with prices much lower than so-called “big names” in LED lighting. Invest now in this light bar/pod combo kit to enhance your nighttime marine activities for years to come. LEANINGTECH’s affordable kit of two six-LED flood lights consume just 18W each while producing the illumination of a 55W halogen light. Their 30,000-hour lifespan and specially-designed spread beam make them ideal for illuminating banks, docks, decks or boat interiors. A rugged, deeply-finned, die-cast aluminum housing provides reliable protection and cooling. They feature an IP67 intrusion rating plus a white marine finish to stand up to harsh marine conditions including submersion, rain, fog or dust. They are so versatile that they even find use on off-road vehicles, construction equipment and in home interiors. Customers replacing low-tech halogen or HID lamps are extremely satisfied with these lamps’ performance and low power needs. Though some customers have LED failures within a year, the manufacturer’s stellar customer service resolved their issues. This light kit is ideal for close-bank observation, docking or filling in unlit voids on any craft’s exterior or interior. Their uses are so numerous, buy them today and you will surely find a use for them tomorrow. This AUTOSAVER88 powerhouse, dual-row, 50,000lm curved LED light bar is without a doubt the brightest, most penetrating marine light bar you will find. Its super powers start with 100 A-Class 5W Cree 3030 LEDs arranged in two rows with end flood sections and a center spot for void-free, gloom-busting illumination. A combination of 4D reflector and fish-eye lens transmits over 95 percent of each LED’s light forward. A tough aluminum housing with serrated fins gives ample cooling to maintain 50,000-hour LED lifespans. AUTOSAVER88’s product achieves an IP68 intrusion rating owing to an unbreakable PC lens sealed with a 2 cm gasket and 304 stainless fasteners. At the first flip of the on switch, the superlatives flow – “awesome,” “amazing,” “unbelievable,” – in response to this full-width light bar’s brightness and reach. Buyers are equally impressed at how easy it is to install since it comes pre-wired. It mounts equally well on the roof, windshield or above the bumper. Yes, it is black, not white, but otherwise this is one mean marine light bar if you are seeking maximum illumination on the water. Works for 12V or 24V DC systems. Numerous high-end features, such as the IP68 rating, for a budget price compel us to give it our top value rating. Buy it and you will enjoy nighttime boating like never before. How to Wire an LED Light Bar on Your Boat? Your boat’s electrical system, if it exists, is likely 12V or 24V DC. Neither voltage is a problem as most light bars operate normally with 9V to 30V DC. Use a gauge of wire appropriate for the amperage draw of the light and the distance from the electrical source to the light or relay. Make sure the switch you use has at least a 10A rating. If the light needs more amperage, run the switch wires to a relay rated for the required amperage. Use an inline fuse on the positive wire close to the battery. Due to the high-humidity environment for boating, seal any exposed connections with silicone or self-fusing rubber tape. If your boat has no electrical systems, any lead-acid, deep-cycle 12V battery will suffice as a source. Be sure to consult local regulations about the use of a white light on a waterway as they may reduce the visibility of your port/starboard lights. 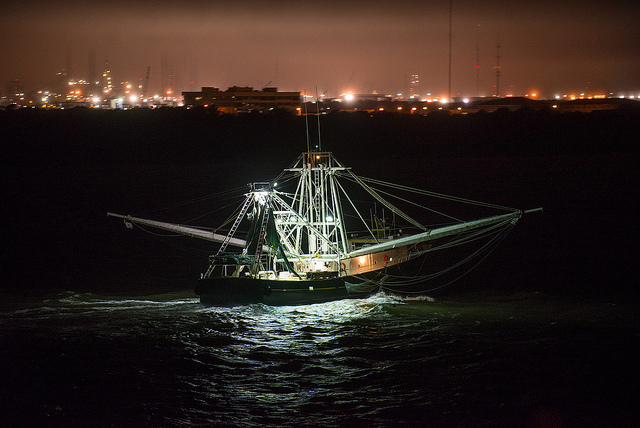 Marine lights operate under extreme environmental conditions and reliability requirements, which is why LED light bars are the perfect lighting solution for boats. Their versatility, efficiency and ruggedness mean they can meet any lighting need with the least power draw and with long-lasting stability. Due to their lightweight and small size, they can be mounted almost anywhere. When shopping for any kind of boat lighting, they are the obvious best choice.